Many postdocs realize that they are working a contract position that will eventually expire. The thought of ‘what comes next’ can be extremely daunting; especially considering the reality that most will not end up in academia. It can be intimidating and overwhelming to explore the endless possibilities of what you can do next. More often than not, the biggest hurdles that you must overcome are learning about the opportunities available and making sure you have the skills required. Once you have this knowledge, what do you do with it? Are you really gathering the skills required to be a competitive candidate in the job market you are about to enter? Will you be ready to accept the fact that, even with a PhD, you may be unemployed? Taking charge of your career is not a passive action and it requires you to constantly be in motion, developing and mapping out your plan just as you would any critical experiment that will be added to your next Cell manuscript. You spend 5-7 years getting a PhD. You want to see a return of investment. You want to end up with a fulfilling career that utilizes your PhD. You want to know all your options for the types of alternative PhD careers (outside of academia) that are out there, but the steps you need to take are missing or are unclear. Going further, how does one define a return of investment? Will this is up to you. So you need to think about what matters to you so you can maximize where your PhD will take you in your career. A PhD is not the end, it is only the beginning. You are missing out on real-world experience and OPPORTUNITY that may be (and most likely will be) found in a job area that better matches your interests, skills, and strengths and value you can add to a company. You will miss out financially-which is not a reason to go into science or grad school in the first place-but taking on a low-wage postdoc salary does not equal to what you could be making in other areas in industry and can hurt you especially if you are graduating with undergrad/grad school debt. You have to pay your dues like anyone else. The important thing that defines your PhD and the value that it holds is what you do AFTER. How would you rather spend your time? Doing a 2-4 year postdoc (or even second postdoc) then transitioning into a career you should have figured out long ago? Or rewinding the clock and skipping the postdoc altogether? An academic postdoc may be appropriate for some. But for many, it is not. Don’t delay the inevitable and put off the decision you need to make now versus later. If you haven’t come to this point of realization, which is common for many, maybe you need to put in the work ahead of time to make sure you are making an informed decision. That way you can go further down a path of your choosing with the level of confidence that you need. Many just don’t want to put in the work in hopes that time by itself will help unwind things and bring forth answers through luck or serendipity. Reality check: it just doesn’t work that way. With that said, it is important to point out that even if you go into industry, you will still be paying your dues. You aren’t going to start out in some senior level management position. You’re going to have to work your way up. So stop reading articles on the ‘top 10 PhD careers in industry’ because they aren’t telling you anything other than giving you a wishlist. Be realistic about where you are now and where you want to be in short term (not just the long run). Put the entitlement aside. Whether you decide to “pay your dues” as a postdoc stuck in academia or as an entry-level professional working in industry, the point is that if you want to get your “dues” out of way NOW rather than later-then spend it in the industry that you are going to ultimately end up in. Why are you paying “double dues” as an academic postdoc, then as an entry-level PhD in industry when you could just pay “single dues” as an entry level-PhD in industry? Although an academic postdoc can (in a way) be paying its way forward towards an entry-level PhD career in industry (and there can be industry based postdocs), it is still not a simple apples-to-apples comparison and in many ways will only delay the start of your career. You may end up in your mid to late 30’s with an industry career that finally allows you to support your family and have a work-life balance (postdocs are getting longer, and it is not uncommon to do multiple postdocs, AKA the “permadoc”). You are only lengthening your timeline in terms of career progression if you want to pay double dues. Some may argue a postdoc helped them gain a new set of skills and made them more well-rounded. Why this certainly may be the case, you have to match that up to the industry position you go into in order to justify the value of the continued postdoc time spent in academia. This ‘justification’ may happen in retrospect years later, but it also makes you wonder had you transitioned into industry sooner how much further ahead you would have gotten. Again, what’s missing from the equation is that a PhD student (regardless of category) needs to be made aware of all their career options ahead time (be proactive), do the proper planning ahead of time (such as networking), and do a self-assessment to make informed decisions and not just using the PhD experience as the main deciding criteria. Misconception #6: Entry Level PhD Careers are no different than mid-level or even senior and there is no need to distinguish in terms of what is feasible. Although it is easy to read and absorb articles like this (From Cheeky Scientist: Top 10 List of Alternative Careers For PhD Science Graduates), this article is misleading many PhD’s and giving them a false hope. And quite frankly is written by a series of authors that aren’t really out to genuinely help you (or lack the industry experience to back it up) and will only try and prey off a PhD’s naivety. For example, as someone who is a Product Manager in the Biotech Industry, I can tell you it is most likely not an entry level career out of graduate school. Neither is a Business Development Manager and many others. Can it be with enough experience obtained outside of graduate school? Yes. But it is unlikely unless you are a rare breed. So no, you are not going to get ‘any’ industry job just because you have a PhD and you think you have the transferable skills, the perfect resume, or are super confident. You may eventually obtain your ideal industry career after you cross-over and pay your dues and PROVE yourself at your job. And it’s going to take time and hard work. A PhD doesn’t help you win an office argument and will make you look arrogant if you think you are better than everyone else just because you have a title or come off this way. Be realistic in your expectations… You aren’t going to become a Venture Capitalist fresh out of postdoc or grad school with zero reputation. When you go into industry, you reset your clock and you have to build your reputation up again from scratch. Generally speaking, academic achievements won’t get you very far in industry as again, this doesn’t really add any value to an employer. So, let’s be realistic and honest to those when we are giving advice and defining what entry level careers are for newly minted PhD’s, and the steps they need to take to make the transition. The Intellectual: See a PhD as being worth it for expanding one’s mind, knowledge of a field, and becoming an expert in a particular field. The Job-Lander: View a PhD as being worth it based on whether or not they could land a ‘good’ job and the type of job that they wanted (field based, industry based, location based, etc.). The Time-Saver: View a PhD as being worth it based on how long it took them to graduate, or how long it took to get into the workforce or end up with the job they ultimately wanted. The Opportunist: View a PhD as positive since it can lead to new opportunities. This could be credibility within a company and with customers, being viewed as the technical expert, or getting job promotions (i.e. senior scientist)-since the glass ceiling is raised or lifted. The opportunity could also lie with transitioning into a different field. The Industrialist: Doesn’t care about academia and this may have been apparent from Day 1, mid-PhD, or towards the end of the PhD. They only care about going into a field like industry and the worth of a PhD will depend on the hindrance or success of landing a job in this area. See #2. Whatever your reasons are.. This helps you see the big picture here and how a PhD and career choice is very individualistic. This post is a mixture of #2 (Job Lander), #3 (Time-Saver), #4 (The Opportunist), and #5 (The Industrialist). As someone who works in industry at a large biotech company (over 10,000+ employees), I have come up with a list of the top entry-level careers for PhD’s that I see as the most common and that are realistic. So where will a biology PhD take you? PhD’s need to gain a better understanding of their non-academic career options. A large majority find their calling and inevitably end up in ‘alternative’ STEM PhD careers due to the attractiveness and better career prospects of industry. How many actually end up as tenure-track faculty? Less than 8%. You can skip the post-doc and end up in a different segments/area! Look downstream. And you don’t have to go through the post-doc loop to end up as an industry researcher, government researcher, or in a science/non-science related job. A postdoc is NOT a pre-requisite, so stop buying into the fact that this is a “default” position post-PhD. I want to strongly suggest that you obtain an internship during your PhD to gain any experience you can to boost your chances of obtaining an industry position, whether entry-level or experienced. For example, you could work for a biotech company as a graphic designer to learn how to produce marketing collateral for companies, or specialize in design, media, or advertising. You could take on an internship as a technical writer to gain the in-depth product knowledge and insight about the market. Or you could even take on a marketing internship where you gain product management experience by helping to create and/or launch products to market, and gain crucial team/cross-collaboration skills spanning across many different departments. There are also many articles feeding PhD’s the false hope that transferable skills (solely acquired during a PhD program in academia) are enough in all cases of finding a job post-PhD. For some number of jobs transferable skills are (this is also very company dependent), but for many-these skills are NOT ENOUGH. So it isn’t just about finding the power and confidence within yourself. Or setting better goals. Or having a better tailored resume. But, let’s take a step back here for a moment and just recap on what those transferable skills are. They are certainly useful and you no doubt as a PhD-holder you will take them to your next job. PhD grads have many attractive and transferable skills: Data analysis and synthesis skills, writing and publishing, research design, presenting, grant writing, managing people and budgets, interdisciplinary contexts, self-motivation, critical and creative thinking, problem-solving, project management, time-management and teamwork. These skills are effectively utilized in many fields outside of academia and serve as an important part of our workforce. The point here however, is to not stay under the impression that you don’t have to do any work outside of academia to become more marketable. You need to boost your skills and experience in any way that you can, while you can (during grad school) in order to increase your chances. With that said, you either have the skills (and experience) the employer is looking for-or you don’t-for the particular job you are interested in. If they are willing to take a chance on you (i.e. view you as a quick-learner), that is great, but the issue is still staring at you right in the face. That is why the struggle is so prevalent and why many PhD’s look for that foot-in-the-door position, where industry will typically hire you based on what you did last. There are certainly exceptions to this rule, as it is very individualistic, but you need to be aware of the current job market so you can prepare and adapt ahead of time. The idea is to gain skills outside of academia to make yourself more marketable. So, did you put in the time and work ahead of time? If you didn’t, don’t be surprised if it takes you awhile to find a full-time and stable job outside of the postdoc. Did you know that there are currently 86,000 US biology PhD students? This is doing nothing but flooding the system with soon-to-be PhD’s that will have many of the same “transferable” skills as you-especially when transitioning from academia into industry or business. Every PhD job is a PhD job. You can never be too qualified for a job. Having a PhD perfectly qualifies you for ‘any’ industry position. When you strip a PhD down, it’s really just a degree in knowledge. You’re a Doctor of Philosophy after all. Your gift is your ability to acquire knowledge and use it to your advantage. You have the knowledge. Now all you have to do is leverage it… PhD’s thrive on both competition and collaboration. PhD’s have to compete for resources and for publications, while also having to share resources and collaborate to get published. No one is more qualified to work on their own or with a team. If you’re a PhD, start seeing yourself as a self-starter AND a team player, and leverage this unique combination to get the industry job of your choice. Unfortunately, there is a lot more to the story here, and the grass isn’t as green as some may try to make you believe outside of academia. It just isn’t that simple and so cut and dry. No, having a PhD does not qualify you for ‘any’ industry position. And when there are thousands of PhD’s out there who all have the same transferable skills as you, you aren’t going to ‘get the industry job of your choice’ fresh out of grad school or a postdoc. I think we all have heard enough of this unrealistic view and “feel good” false mentality. With that said, let’s move on and put the marketing bandwagon behind us. So, let’s get started. For each position, I will provide what the job involves/entails, list how many jumps you need to take, the type of move, and what the position can lead to. Can you break the ‘rules’ or take shortcuts? Certainly. There are exceptions. But these are the most COMMON paths I see. Will you use your PhD? Whether or not the position ‘requires’ a PhD, it is important to point out that a PhD will give you a huge leg up and will improve your ability to understand and explain the science behind the brand or your product(s). Additionally, having a PhD will give you more credibility with customers and key opinion leaders, and can add tremendous value to your team. In the long run, it can also help open up a lot of doors and opportunities. However, it is important to not lose sight of what matters after grad school and not get caught up on deserving some ‘special treatment’ or high-end position (especially starting) just because you have a PhD. Again, I am providing you with realistic expectations and entry level careers in order to give you hope in order to skip the postdoc. Find what is right for you and follow your passion. But keep in mind that I am certainly not telling you which path to take as it is entirely individualistic. If you thrive on intense scientific exploration and want to work with a sense of real and immediate purpose, then consider discovery research. There is also drug discovery and preclinical research. If you are already doing scientific research during your PhD or postdoc studies, then this is the first and foremost obvious choice. As a researcher, you are the driving force of innovation for your company. One of the major perks and advantages of working as a researcher in industry is the team environment. When you throw a dynamic team in the mix, with people who are creative and collaborative-it makes seemingly ‘impossible’ scientific problems become possible to solve. You will get great satisfaction out of seeing your products get launched into the market and getting feedback from your customers as to how your research led to advancing their own and helped solve their scientific problem (or even leading to a therapeutic or business partnership). Industry will typically hire you based on what you did last. So the gap to bridge really isn’t that big. Many won’t even network to land a job in industry if the R&D position matches closely to what their thesis was on (or they will work as temp to get a foot in the door then land a permanent position). This applies even more if the position is niche-focused. A good example is someone who had a stem cell project or some hot topic that is in high demand in industry. Did you work with genome-editing such as ZFN or CRISPR during your time in grad school? Guess what? There are companies that highly value these types of skills versus the generic molecular biology bench skills. That is why the lab you chose during your time in grad school does affect your career prospects. That’s not to say that if you didn’t have a niche-focused thesis project that you aren’t marketable. It is very company dependent in what they are looking for. Your goal is to maximize your skills outside of academia to not look like an academic. Become MORE marketable to make the transition easier to outcompete other PhD’s who have the same set of transferable skills as you. Or outcompete those that do have that niche focus. There are also industry post-docs which you can read more about here. Can lead to: Operations, Business Development, Marketing, Sales, Tech Support, Product Development, Quality, Regulatory or Clinical Affairs, Patent Law, Consulting, Venture Capital, Project Management, VP of R&D, etc. 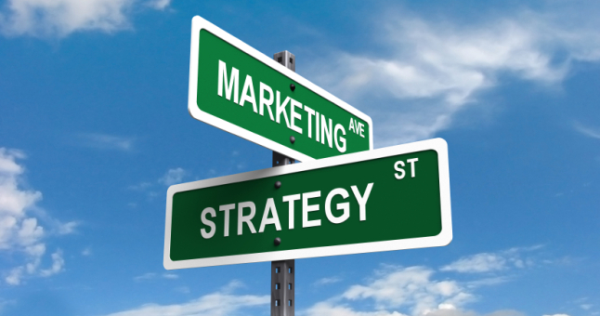 Marketing is a great way to apply your scientific, medical, and/or business acumen. Marketing professionals can be involved in the earliest stages of product development all the way to product launch/commercialization and post-launch support/brand management. A product specialist is usually under supervision of a Product Manager. 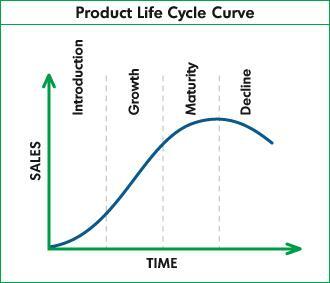 What this does is expose you to many aspects of the product life cycle. You may even develop and launch your own product. Once you learn the ropes and product portfolio, you may even do sales visits or calls, or present at seminars. Additionally, you will be responsible for support of your product (tactical) which could involve creating marketing collateral or responding to sales inquiries (expect numerous daily emails). As each product line will encounter issues, you will also be given issues that you can fix. Your goal as a product specialist or technical marketing specialist is to go into product management. But you most likely will not start as a product manager until you have demonstrated success with product development and customers. To learn more about product management, please visit my previous post here. Ways to get exposure during grad school: Audit a business class, write a business plan or do a SWOT analysis, take an entrepreneurial class, create or manage your own product (this can be online), etc. Jump: 2 Jumps: Academia to Industry. Industry to Business. Can lead to: Sales, Product Development or Product Management which can also lead to Director of Marketing, Senior Product Management, Product Market Analyst, Consultant, Medical Affairs, Business Development, Commercial Operations, etc. Although probably not the most exciting job, it can be very rewarding for some. A technical support scientist position can be a great way to get your feet wet by learning/demonstrating deep technical scientific knowledge and being able to empathize and solve a customer’s problem(s). This job will entail making product recommendations, providing application support to scientists, engineers, researchers, technicians, and most importantly-the customer. Though this process, you will gain a deep understanding of the product portfolio, understand what the market needs (by understanding their pain points), and sharpen/boost your scientific knowledge of the field as you seek and provide answers. After all, there can be very broad product areas that you are not familiar with. Since it is not always in one specific area, you will become exposed to many different levels of science (company dependent). This can make you very well-rounded and put you in a great position to shuttle into other positions. What can make this position mundane is that you will spend the majority of your days dealing with customers by phone, email, or live chat. But these job functions/responsibilities are important avenues in order to reach customer resolution. You will work across multiple departments and disciplines to provide feedback about products, document and resolve customer issues and complaints in a timely manner. Identifying product discrepancies is key and being able to recommend solutions. You may be expected to provide fast-paced technical contact/call-center support and your performance may be measured by the number of tickets closed out in a given week or month (like a quota). Many times when you get stuck and can’t provide an answer, you can elevate to the product manager who will then assist you with more technical expertise. As a product manager I can tell you that it is not uncommon for a conference call to be set up to resolve a customer’s issue in order to put out the fire. Think of a technical support scientist as someone who is a firefighter. When the going gets heavy and the fire is too big to put out, you will call in reinforcements. But you will be expected to put out a lot of ‘little fires’ as this occurs on a daily basis within a company and managing a product line/keeping customers happy. 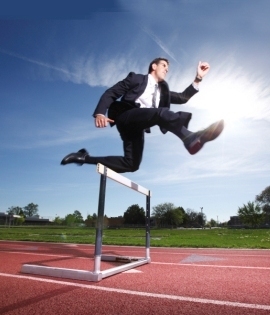 Top performers will be rewarded and you can expect to be promoted quickly, as this is not meant to be a long-term position. Once you are able to demonstrate that you know the product/market and are efficient in solving a customer’s problem/being the technical expertise, this puts you in a great position to move into other areas like sales or marketing. Can lead to: Product Management, Sales, Manager of Tech Support/Call Center, and many other business-related positions. Every company can market and sell great products but this is all dependent on what manufacturing/operations can make and deliver in a timely manner. Internal capabilities will also define what can or cannot be made based on the timing of the market, and can cause a bottleneck if resources are limited or a department is running lean. Basically, manufacturing is CRUCIAL to being able to hit deadlines and make sure the product gets in the customer’s hands in a reasonable timeframe. 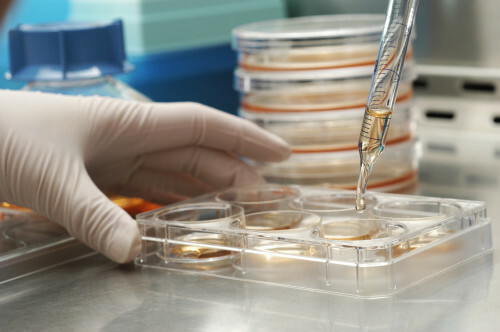 You may perform numerous procedures and lab techniques such as aseptic handling, media preparation, inventory management, bioinformatics, tissue culture preparation and/or harvest, equipment setup and operation, high-throughput automation and robotics/liquid handling, maintaining good record keeping such as charts/lab notebook, etc. You may end up making something without asking “Why”, which can be the downside if you lose sight of the market and what products are being developed and how exactly they are helping to solve a customer’s scientific problem. But if you stay engaged with upper management and the marketing team, chances are you may get promoted to a Scientist within R&D or within the Operations/Manufacturing group (depending). Many others choose to transition out into other business positions such as marketing or sales. It may sound cut-and-dry, but this career can actually be quite rewarding as well as challenging and you will acquire a lot of valuable industry skills into your future career. Teamwork will be crucial and you will use/sharpen your scientific background and lab skills on a daily basis. Project and time management is another great skill that is learned and demonstrated. If a customer has an issue with your product, they will elevate to a technical support scientist (#3) who may then elevate it to a product manager (#2) who in turn may team up with manufacturing to pinpoint the problem (this is issue dependent). Therefore, you will also learn the pain points of your customers and how to solve them. Although manufacturing is different than a Scientist (#1), this doesn’t mean that manufacturing does not lie on the innovative side. In many cases, operations and R&D work together to test new products and be able to launch them into market. This career can be exciting and a great starting position for some. It also gives you the ability to really show you are able to meet the demands of the market and propose ideas for how to improve operational efficiency. Coming up with new ideas/protocols/procedures to ultimately reduce the Cost of Goods (COGS) can really get you noticed and benefit your entire group for years to come. Also most likely responsible for: following Standard Operating Procedures (SOP’s), Good manufacturing Processes (cGMP’s), having possible knowledge of ISO and FDA protocols, etc. Did you enjoy writing your thesis and communicating your deep technical knowledge and understanding of science in a written manner? Did you enjoy writing a grant for your PI? First author journal publications? A career as technical writer will allow you to really capitalize on your writing skills and get noticed. The other key in industry for this position is that there is always a need for technical writers when there are product launches. Think about it. There is a constant need to write and publish written material to be able to educate customers, promote awareness, and provide technical expertise (such as protocols) to customers so they understand how to USE your product. You will be able to work in a cross-functional team and environment to obtain an in-depth understanding of technical knowledge to write scientific content for product support and documentation. This can include technical bulletins, blog articles, sales training, press releases, technical marketing pages, data sheets, application notes, product brochures, web-based collateral, etc. The key is to be able to explain scientific and technical information in a clear and concise manner. Just like you had to do at your thesis defense. You present deep scientific information and make it understandable. If you walk up to a random person on the street, you should be able to explain science to him or her in a way they can understand. Many scientists tend to use scientific jargon and people have a hard time seeing the value in what you are trying to say. If the general population can’t understand it, your customers will also have a hard time understanding it as well (don’t assume everyone is an expert in your field). Technical writers will also have visibility working with R&D or scientists to verify the technical accuracy or product documentation. You may collaborate in order to complete documents. A technical bulletin is a good example where you may rely on R&D for data or supporting figures. You may look to them to provide the protocol or supporting information behind the experimental data. Once you have that piece of information, you can further polish it, provide additional suggestions or finalize the document for publication. Another important job function is to own and manage updates and revisions to existing technical literature. Existing products will need to be updated accordingly based on market needs or new features that are added. Products may be changed, updated, or even retired. Each company will have their own content and style regulations and rules (fonts, colors, branding), and you will learn to edit documents within these constraints (a trademark for example is important). A slightly related position is Corporate Communications, which lies more on the general business side in order to convey a story to investors and other stakeholders. This tends to be a little less technical, but still allows you to use your writing skills. A position as a communications specialist allows you to help develop and deploy corporate positioning, branding and messaging. As someone in Corporate Communications, you will create and update investor relations, be responsible for content management such as websites, online/social media communications, database management, and plan/execute multi-channel communications. For someone with a PhD, this may be a less common path but is still a good foot in the door. Entry-level applicants should consider taking positions (say as an internship during grad school) that involve writing press releases or running trade show booths, such as PR communication, technical communication, or marcom positions. Do you enjoy communicating or presenting highly-technical scientific information to support the needs of scientists and/or clinicians? Do you enjoy reading about current clinical trials/studies or scientific publications, digesting clinical data, and being able to provide suggestions/advice based on your expertise and scientific knowledge of the current field? This is one of the harder entry-level careers to break into, but not impossible. Approximately 75% of your job will be communicating scientific, clinical, and research information based on current needs. Think of this position as a consultant and not as a sales representative. The downside however, is that some (say Medical Doctors) may view and treat you as a sales person. Although this position in itself carries a lot of prestige to begin with, and you will gain a lot of respect as you continue to build your reputation. Keep in mind that you will also be competing against PharmD’s and MD’s, who may have more clinical knowledge and experience than you, which makes this position challenging and very competitive. But if you can find a way to fill the gaps and convince a big pharma company to bring you on as an MSL (i.e. volunteer early, focus on your therapeutic/expertise area only, and being able to demonstrate that you are a quick-learner and an effective communicator/educator of scientific information), this can be a very rewarding career. The Medical Science Liaison (MSL) is a specific role within the pharmaceutical, biotechnology, medical device, CRO and other health-care industries. MSLs have advanced scientific training and academic credentials generally consisting of a doctorate degree (Ph.D., PharmD., M.D.) in the life sciences. They concentrate on a specific Therapeutic Area (i.e. Oncology, Cardiology, CNS, Pulmonary, Hematology, Surgery, Women’s Health Care, etc) and disease state. Medical Science Liaisons are vital in the success of a company. They work throughout a product’s lifecycle, help to ensure that products are utilized effectively, serve as scientific peers and resources within the medical community, and are scientific experts to internal colleagues at companies. However, the primary purpose of the MSL role is to establish and maintain peer-peer relationships with leading physicians, referred to as Key Opinion Leaders (KOL’s), at major academic institutions and clinics. Jump: Varies. Usually 2 Jumps: Academia to Industry. Industry to Business. Management consulting can be an excellent way to put your analytical and scientific training to use while you develop your business expertise. If you have the passion to innovate, drive change, and help companies be more successful, it may be the right career choice for you. You will learn how to lead teams, manage people, and take on challenging and interesting problems. The connections that you make with top business professionals will also open doors to future career opportunities. And, your hard work and efforts could also have a huge impact on the future direction of the company. Quantitative analysis skills are especially desirable. To be a strong candidate for a consultant job, a scientist should also be effective on teams, have great communication skills, and be able to point to a record of making a difference inside and outside the lab. One thing that isn’t required—surprisingly—is business knowledge. Most Ph.D. consultants do need to learn business skills, concepts, and terminology, Bennett says, but that challenge is quickly overcome by the training that consulting firms provide their entry-level recruits. If you are interested in consulting right out of graduate school, then you are likely looking at management consulting firms, who value the ability to think critically over specific knowledge. 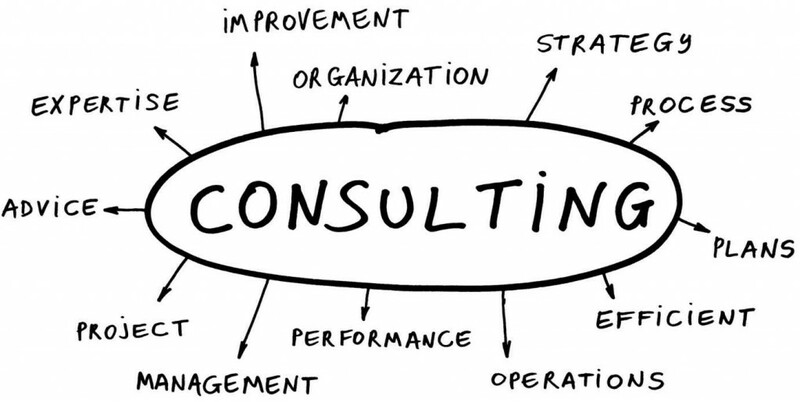 These management consulting firms vary in size and variety of clientele, and most importantly, many are actively recruiting PhD’s in all disciplines because they acknowledge the analytical skills that are necessary to successfully complete a doctoral program. The major firms including McKinsey & Co., Boston Consulting Group, and Bain & Co., (which are also known colloquially as the big three in consulting circles), have formal programs to bring new hires up to speed on business competencies if their background is not business related. More than anything, (yes, including business acumen), these firms value your critical thinking skills. This is one of my favorites and having knowledge of this position actually saved my PhD. Think of a Field Application Scientist or FAS (for short) as a specialized sales rep/account manager with deep scientific technical knowledge and expertise. They provide support to customers of companies in laboratory equipment, reagents, or lab-services. Chances are when you are dealing with customers who may have complex problems or scientific questions, these cannot be met by telephone or email. So as a FAS, you help provide that face-to-face interaction and technical support for the customer. You will get to travel a lot which can be exciting, and will have high visibility in the company. 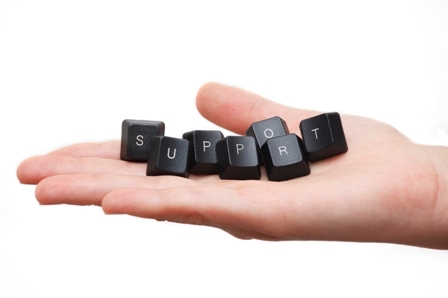 Product managers will look to you to help drive their products and provide on-site technical support when needed. If you hold a PhD in biology, your strong suit will obviously be driving biology-related products. For this reason, people within the company will turn to you as the ‘point-person’ if their background is in chemistry (and their comfort or knowledge level is lacking), for example. A general account manager or sales rep may also not have the necessary knowledge in order to close a big sales opportunity. What happens is they call upon a specialist, or Field Application Scientist to help close the big/high ticket sale. The reason for this is that Product Managers are already spread pretty thin. They certainly don’t have the time to fly all over the world to help close sales throughout the year. This can be in their priority list at times, but this is generally the job of the sales force. That is why Application Scientists exist, to go beyond the general account managers and drive those niche-focused sales and/or provide highly technical support. They may also give scientific seminars on the latest technology at Universities or conferences, provide training, and/or even set up equipment or do product demonstrations. It is a GREAT way to demonstrate your knowledge of the field and how your product fits into that field as a SOLUTION. You are not selling just a product, but a solution to solve a customer’s scientific problem. You will gain trust among your customers and establish great relationships. A FAS can lead to many other positions such as marketing, sales management, and business development. You will have demonstrated first-hand that you have customer-facing experience and you know what the market needs. Your feedback is also very highly valued in the company as Product Managers/Sales Managers will look to you for new product ideas and Voice of Customer (VOC) feedback of current/existing products performance. When technical inquiries from customers can’t be met by telephone and e-mail tech-support teams, they escalate to applications scientists. “Especially when they require lab work, an applications scientist speaks with the customer and can go so far as to test samples or specific applications,” Herzer continues. Herzer has a Ph.D. in molecular genetics from Rutgers University; such high-level credentials are common among applications scientists, and often are necessary for dealing with the complexity of modern research tools. Lastly, Inside Sales is a bit different in that is done remotely. It can still be technical, but without the field support that a FAS gives. 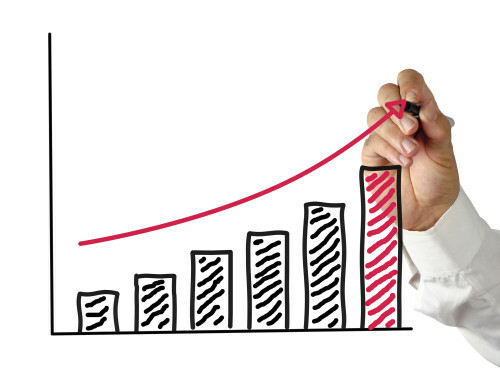 Performance metrics and ways in which to grow accounts via sales will be different (i.e. cold calls versus face-to-face visits), but inside sales is a great option for those who don’t wish to travel or are just starting their careers out and have a family. If you are a people person who enjoys and feeds off personal interaction and networking, and if bringing people together based on common interests is a driver for you, a career in recruiting may be right up your alley. This job will allow you to exercise your “people” skills while you contribute to the scientific community and the impact you make on people’s lives. After all, you are bringing value to both the company and the individual by filling the position, as you assess what is a great fit based on that individual’s background, education, skills, company value, etc. Although some may argue that recruiting may be more for people with industry experience under their belt, it is not uncommon for a PhD to fill this position as you understand the value and skills needed for a science/technical position. This is even more so if you are filling positions for a company that is hiring in your PhD area of expertise. In many cases, learning the “ins” and “outs” of industry can be learned on the job, as long as you are a quick-learner, and have the skills needed to be able to aggressively identify and get candidates hired, all while building your network/reputation. Think of a recruiter as a hiring consultant. Your strength would lie in the understanding and having a good grasp on the strategy within an organization and identifying the talent needed/required in order to achieve that company’s goals, whether short or long term. You are ultimately helping companies save time, energy and money. Organizations are willing to pay a premium to secure top talent. 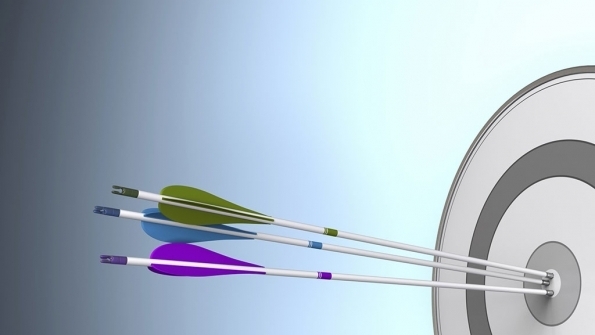 In a nutshell, it is your role as a recruiter to identify, evaluate, and attract top talent. This is a great position as it will help you to gain more expertise and knowledge of the industry and what companies really value in candidates. One of the common companies hiring in this area that I see is Kelley Scientific, which is a science staffing company that hires PhD’s fresh out of grad school. Move: Bench to Staffing Agency. Jump: 1 Jump: Academia to Recruiting Firm (Varies by Industry). Can Lead to: Business Development, Sales, Starting your own firm, a Career counselor of Executive Coach, Consulting, or Human Resources/Organizational Development Consultant. Would you rather focus on the big picture versus being a specialist in a specific area of scientific discipline? Do you enjoy being the facilitator in the decision-making process, managing a team, and/or helping to define options in order to pull together information from many groups working on a project in order to hit deadlines? If you don’t mind being a highly-visible point-person and doing lots of paperwork/documentation (just being honest), project management might be right up your alley. A Project Coordinator is a step below a Project Manager, just like a Product Specialist is below a Product Manager. You be responsible for assisting the Project Manager in all aspects of Project Management including project planning, data gathering, analysis, development, communication, status tracking, implementation, budget monitoring, and follow-up. You will coordinate project activities with the project manager and communicate information to key project stakeholders. You can expect and will learn from changes in project requirements, deadlines, scheduled dates, etc. There will be unexpected hitches. You will learn how to communicate crucial and relevant information to your team members. You are responsible for providing project status reports and meeting updates. There will be project tracking logs including actions, issues, anomalies, problems, change, risk, etc. This entry-level position will give you hands-on experience with understanding what constitutes the scope of a project and what individual team members are responsible for. You will have little to no authority, but will lead by influence. Once you have enough experience under your belt and a reputation for successfully managing projects/teams, this most likely will lead to a promotion as Project Manager. Being a Project Coordinator/Manager is vital to launch new products into the market or complete projects/large milestones (projects and the types of projects can vary by company). 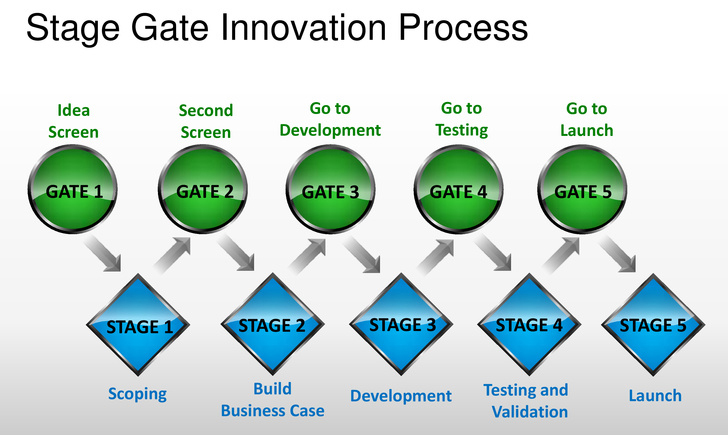 You are essential to a company as you will pool together resources and teams in order to execute the stages of the Stage-Gate Innovation Process (again, can vary by company). See image above. You can also (down the road) obtain your Project Management Professional (PMP) Certification. You can read more about that here and what the prerequisites are. Can Lead to: Project Manager which can lead to Project Team Leader, VP of Development or Project Management, Consulting, Marketing or Business Development, Portfolio or Alliance Management, etc. Depending on the company, many will have a customer education or technical applications support team with varying responsibilities and job functions. If a product manager needs to schedule a workshop, customer visit, online webinar, or sales training-the Customer Education team is responsible for coordinating all the events and making sure everything goes smoothly. If someone on your team is attending a scientific conference for example, you may be responsible for ensuring that sales/marketing/R&D has the needed marketing/sales collateral to advertise your product. You may also travel and attend conferences to help with setup of the booth, setup of presentations/slides of speakers from your company, have sign-up sheets/lead capture forms ready for customers, gather marketing/sales reports, provide product support, etc. Where the customer needs you (based on business needs), is where you will most likely go/focus your attention. Many can even be potential clients or business partners, or high-profile customers. More importantly, your whole job is to understand the needs of a customer, educate, and solve any pain points/problems they may be having through the exchange of information. For example, you may need to gather information ahead of time (such a survey) to understand what a customer wants to get out of a workshop, seminar, or presentation. Then you can plan ahead accordingly to make sure you have the needed resources to meet those requirements. Feedback from the customer (before and after) is crucial in order to continually improve your methods and make sure you are doing your absolute best in order to ensure the highest customer satisfaction. This is a good position to play on both sides of marketing and sales support, as well as understanding the needs of the customer. Because of this, a Customer Education role can shuttle you into many different positions in areas where your job overlaps. Can lead to: Management (Customer Support Lead), Sales, Marketing, and many other business-related positions. Don’t see a job that interests you? Make sure you Register and take the myIDP test: http://myidp.sciencecareers.org/ You may be surprised at what matches up to your skills/interests. For example, I did not list Law in this blog post. If you are someone who has gained interest/skills during your PhD in Patent Writing or in Technology Transfer you could find yourself shuttling into this area. Going further, I have seen some PhD’s write patents along with their Professors and have gained a very good understanding of the patent process and what is out there in the field. You could even go to law school and/or apply as an entry-level associate in a firm (or work for your Tech Transfer Department at your University). It is not uncommon for PhD’s to work as patent agents during the day and go to a nearby law school at night. It took me a while to realize what is now obvious: Ph.D.’s are well-suited to being their own bosses. As a humanities graduate student, I managed my own projects from beginning to end, with no one telling me on a regular basis what to do or how to do it. In general, doctoral students are incredibly self-motivated and driven: to plan, research, write, present, teach, apply, report, submit, budget, edit, navigate bureaucracy, and manage their own time and their supervisors’ expectations. And we do this with limited funding, drawing on our creativity and resourcefulness to accomplish our goals. You define your career and where you want to take it. It is up to you to find and create these opportunities, and to act NOW as you equip yourself with knowledge and the steps you need to take in order to successfully transition into industry. ‘Alternative’ and non-traditional career options, which are now becoming the standard, need to be available and made apparent for those who are stuck in the post-doc loop, burned out at the bench, or are looking for a way out. Therefore, making the jump from Academia to Industry and other fields such as Finance, Law, Government, Writing, Venture Capital, Consulting, Entrepreneurship, Sales, Technology Transfer is the first step. I Just Got My PhD, Am I Ready for an Industry Job? Many thanks for this very frank and informative blog which I will pass on to my colleagues and to the postdoc community. I agree with you that many postdocs bury their heads in the sand and rely on false hope perhaps in an attempt to ignore the reality of their situation. A PhD does offer excellent training but, as with degree qualifications, added value, ideally targeted towards a desired future career, will be advantageous to make oneself an attractive prospect to employers. Also, as you say, sometimes you need to take a step back to go forwards when you are moving into a new career sector. My latest blog focusses on the prospect of a changed identity, which I think plays a role in avoidance behaviour. Your advice to explore, research and try out new opportunities should help ease the process of transition but, of course, many other factors play a part when making any life change. It took a while to realise what the author meant by this. My initial guess was that everyone has financial debts (possibly incurred as a consequence of paying for higher education) and everyone needs to pay for a roof over their heads and food in their bellies. But no… It seems that the meaning of this phrase is that ‘the key defining feature of a successful job applicant is their capacity to offer up an arbitrarily large amount of time and money/lower salary to the altar of the company gods for the privilege of working’. It seems that employers are no longer satisfied with the government subsidised primary-to-tertiary education of their workforce, they expect to have any in-house training costs defrayed by their employees ‘paying their dues’. It takes at least 8 years of specialist training to be at all competent working in the physical sciences. This involves absorbing the technical skills and understanding the often conceptually complex material and then, based on this, developing entirely new areas of human understanding never before thought of on the planet. And it turns out that this is not enough; potential employers resent having to develop their employees soft skills: ‘how to successfully chair a meeting’, ‘effective conflict resolution’, ‘knowing the management structure of the company’ and the like…. Rather tiresome behaviour from employers I would say. This is even more repellent considering the view that it is becoming increasingly common for everyone to have multiple careers and a ‘job for life’ is a thing of the past. Perhaps this shift towards multiple careers is encouraged by employees now being expected to pay for their own retraining with their obligatory ‘dues’. I think one of the very good alternatives for PhD is Manufacturing/ Operations, quite an interesting field. Thanks for sharing this informative article. Great, thanks for the tips!